We all knew Fernando Alonso wouldn’t leave his Indianapolis 500 legacy at just one start that ended in an all-too-poetic engine failure in 2017, mainly because he said as much. So, after a year off from the race and without a full Formula One racing schedule to distract him, Alonso’s back in bright orange this May. 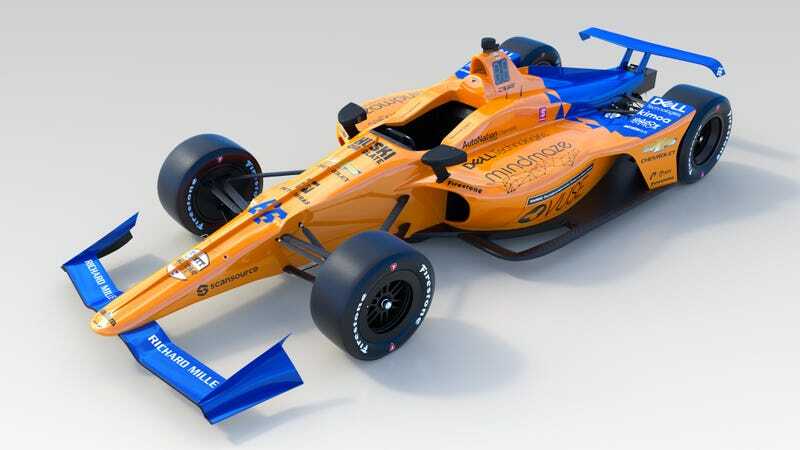 Well, “McLaren orange” is the better term here, since Alonso’s IndyCar entry will run almost the same paint scheme as the McLaren F1 team’s cars this year. There’s one thing that’s different, though: Alonso will run a Chevrolet engine in his No. 66 car at the end of May this year, instead of a Honda like the one that failed on him in his 2017 Indy 500 debut with Andretti Autosport. and you already know which one he’s missing. 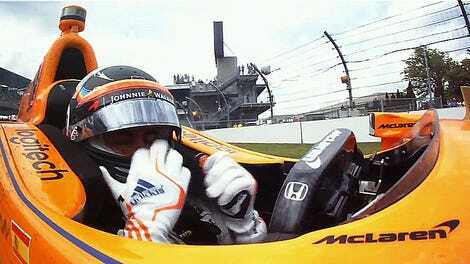 Alonso looked like he could win in his Indy 500 debut two years ago, which he skipped the Monaco Grand Prix for despite still being a full-time McLaren F1 driver that year. (Who wouldn’t, given how bad those cars were?) He spent the race reminding us of how well he can race cars when they actually work, but it wasn’t meant to be—like many of his other race cars plastered in McLaren orange that year, Alonso’s car gave up on lap 179 of 200. He was out of contention due to an engine failure. But things are a lot different this year, no matter how similar they might look—from Alonso’s racing commitments to the engine powering his Indy 500 race car. We’ll just have to see if they play out differently on track, too.